President Vladimir Putin has said that Russia is militarily ready for a Cuban Missile-style crisis if the United States wanted one, and that his country currently has the edge when it comes to a first nuclear strike, as Reuters’ Andrew Osborn reports. And as the NYT’s Neil MacFarquhar reports, Putin said Washington was fueling a new arms race by withdrawing from a landmark nuclear weapons treaty and possibly deploying new missiles in Europe. The United States and North Korea will seek a common understanding of what denuclearization means when President Trump presses Kim Jong Un next week to give up all of the North’s nuclear weapons, U.S. officials said on Thursday, as Reuters’ Jeff Mason and Steve Holland report. Dive Deeper: “Fifth Anniversary of the Landmark Report of the UN Commission of Inquiry on North Korean Human Rights,” by CSIS’s Robert King. “Will Trump And Kim Be Bound Together By Strength or Weakness? ” by CFR’s Scott Snyder. Hackers based in Iran and implicated in attacks on the U.S. and Western allies were behind a computer breach of Australia’s Parliament and political parties, as the WSJ’s Rob Taylor reports. Dive Deeper: “Punishing Iran Is Not a Strategy,” by CSIS’s Jon Alterman. “What Washington—and Iran—Should Take Away from the Warsaw Conference,” by the Washington Institute’s Dennis Ross. Venezuela’s government said on Wednesday that it was closing its border to air and sea traffic from three Caribbean islands in an effort to block aid shipments to the country organized by the Venezuelan opposition, as the NYT’s Nicholas Casey reports. Dive Deeper: “Critical Questions: Humanitarian Aid Ready to Enter Venezuela on February 23” by CSIS’s Moises Rendon. China is proposing that it could buy an additional $30 billion a year of U.S. agricultural products including soybeans, corn and wheat as part of a possible trade deal. Check out CSIS's latest video, "What's Happening In North Korea." CSIS's Ahead of the second Trump-Kim summit, scheduled for later this month, Victor Cha explains what is at stake and the risks involved for the U.S.
(Photo credit: Mandel Ngan/AFP/Getty Images). 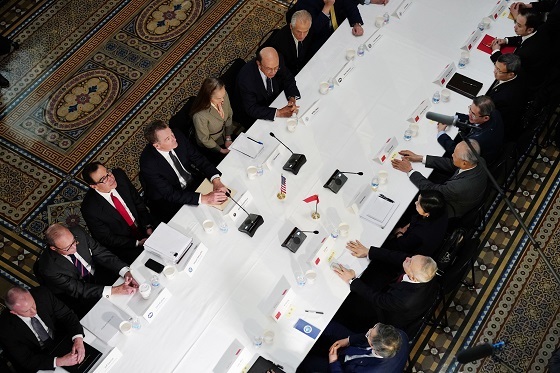 (L-R 2nd from bottom) National Economic Council Director Larry Kudlow, US Treasury Secretary Steven Mnuchin, and US Trade Representative Robert Lighthizer, unidentified interpreter and Commerce Secretary Wilbur Ross take part in US-China trade talks with China's Vice Premier Liu He (LC) today at the Eisenhower Executive Office Building. “China’s Nuclear Power Sector: What It Is and What It Is Not (Yet),” by CSIS’s Jane Nakano. 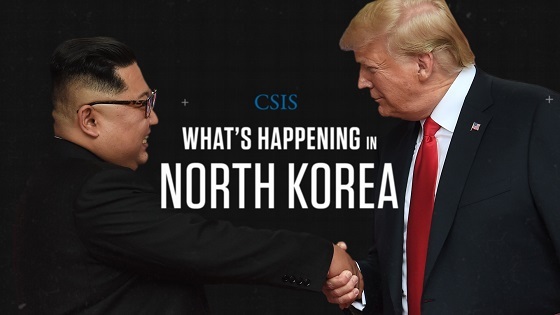 At 10:00 a.m., CSIS will host a conversation on the Trump-Kim summit in Vietnam. Panelists will analyze the possibilities for denuclearization, and discuss regional implications of summit diplomacy for Northeast Asia. Additionally, at 1:30 p.m., CSIS will host a conversation with Anna Ohanyan on Russia’s manipulation and interference in former Soviet states. Today, the CSIS Energy and National Security Program hosted a panel discussion on the outlook for global energy markets. The discussion covered the geopolitical, economic, and other influences that will impact energy markets in 2019. Watch it here. 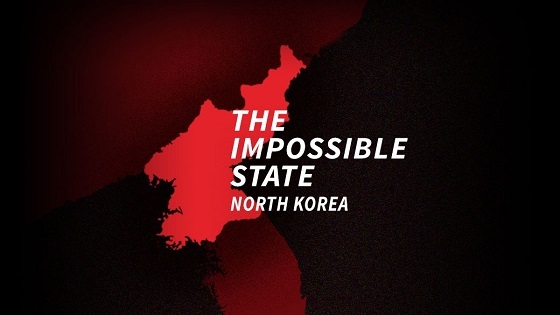 North Korea is the Impossible State. Each week join the people who know the most about North Korea—The Center for Strategic and International Studies’ Victor Cha, Mike Green, and Sue Mi Terry—for an insiders discussion with host H. Andrew Schwartz about the United States’ top national security priority.